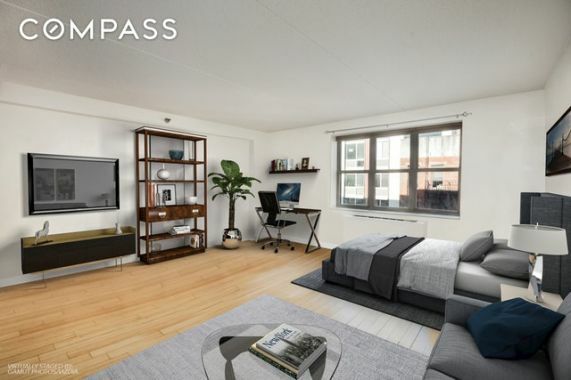 Make your home in this extra-large studio offering top-notch appliances and fantastic condo amenities in the heart of vibrant Hell's Kitchen/Midtown West. The spacious and well-appointed kitchen will catch your eye the moment you enter this sunny home. 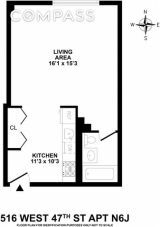 Far better than that found in most studios, this kitchen includes great cabinet space and granite countertops surrounding full-size stainless steel appliances, including a gas range, built-in microwave and dishwasher. 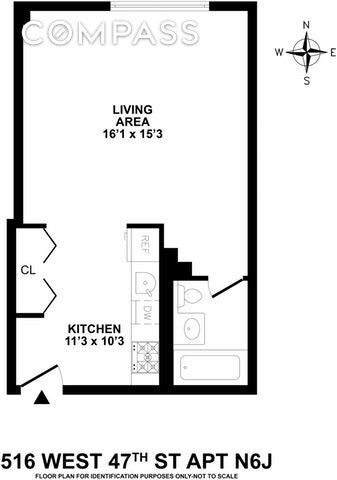 There's room for a café table and chairs here, and the extra-large closet provides plenty of storage space. Ahead, the main living space is paved in bamboo hardwood floors and easily accommodates sitting and sleeping areas. 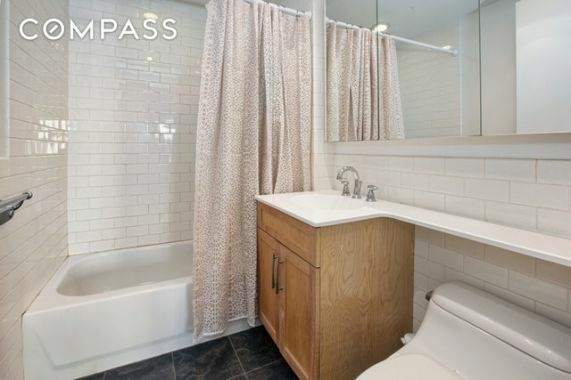 In the sleek bathroom, you'll find lovely tile, a wide vanity mirror and large tub-shower. This unit recently upgraded its air conditioning and heating unit to a digital top-of-the-line brand. An oversized north-facing window ushers lovely light into this beautiful studio, framing quintessential New York views that stretch from the nearby historic buildings to the high-rises of Midtown. 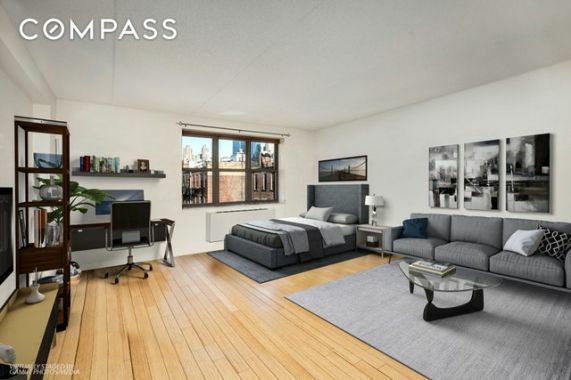 516 West 47th Street is a modern condominium building with 24-hour doorman and concierge service, fitness center, laundry, storage, bike room, a well-appointed atrium lounge, and a stunning outdoor terrace overlooking a 6-hole putting green. Nestled in the perfect Hell's Kitchen/Midtown West neighborhood, this home is surrounded on all sides by fantastic venues for dining, nightlife, entertainment, shopping and open space. 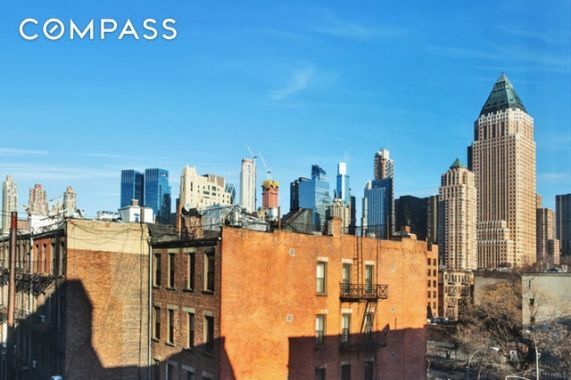 The Theater District unfolds right outside your door, amazing Hudson River Park stretches for miles along the waterfront, and dozens of Michelin-starred restaurants fill the nearby blocks. 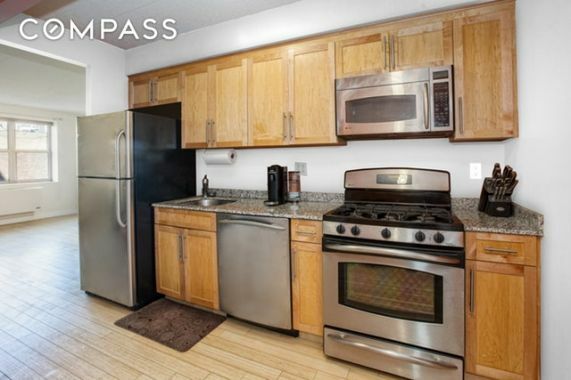 Access to transportation is phenomenal from this convenient neighborhood, with A/C/E, N/R/W and 1 trains all nearby. Sorry, no pets allowed.